There is a New Message from God in the World. It has come from the Creator of all life. It has been translated into human language and understanding through the Angelic Presence that oversees this world. It continues the great series of transmissions from the Creator that have occurred over centuries and millennia. It is a New Message for this time and the times to come. It fulfills the former Messages that have been given to humanity, and yet it reveals things that have never been shown to humanity before. For humanity is now facing a grave and perilous set of challenges, both within the world and from beyond the world. 2It is prophetic in alerting people to the Great Waves of change that are coming to the world and to humanity’s position in the universe, especially regarding your contact with other races. Receive this blessing. 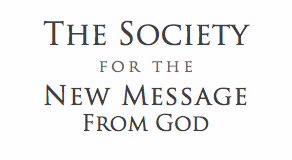 Learn of the New Message from God. Realize it will affirm all that is true within your current traditions, and it will speak to the deeper wisdom that you already possess. It will speak to your heart, even beyond your thoughts and beliefs and the thoughts and beliefs of your culture or your nation. Receive this gift and learn of it patiently, taking the Steps to Knowledge, learning the wisdom from the Greater Community and recognizing the power of the One Spirituality of humanity in uniting humanity, in strengthening humanity and in preparing humanity to recognize and to navigate the difficult times ahead. 3Receive the New Message in its calling for the preservation and the strengthening of human freedom, cooperation and responsibility. For without this New Message, humanity is facing a grave and precipitous decline. It is facing the loss of its freedom and sovereignty in this world to other intervening forces from the universe around you. Without this New Message, the human spirit will remain dormant, and people will live lives of desperation, competition and conflict. It is the Creator’s Will that humanity emerge into the Greater Community of life in the universe as a free and sovereign race—as a strong race, as a united race, as a race that is capable of maintaining its cultural diversity while honoring the deeper strength and purpose that will keep the world strong and keep the human family vital, active and creative, presenting a new opportunity for advancement in the future. But to advance you must survive. You must survive the difficult times ahead, and you must survive competition from beyond the world regarding who will control this world and its destiny. Each individual must recognize that they have a great opportunity to discover the deeper Knowledge that God has given them—the Knowledge which contains their purpose, their meaning and their direction and the criteria for all their meaningful relationships. Therefore, there is a New Message from God for the individual, and there is a New Message from God for the entire world. It is here now. It has taken a long time for the Messenger to receive it, for the Message is very great. 4Honor then the one who has come to bring the New Message into the world. He is a humble man. He has developed the wisdom necessary to undertake such a great role, and he has been sent into the world for this purpose. Receive him. Understand him. Do not exalt him. He is not a god. He is a Messenger bringing the New Message from God into the world. This is the time now. This is the great opportunity. This is the answer to people’s prayers all around the world—prayers through every faith tradition, through every nation and culture, praying for wisdom, strength, unity, freedom and deliverance. Receive this New Message now. It is come, and it is come at just the right time.